Double ARC provides diagnosis, family engagement and education, training for professionals and parents and parent support. We equip parents, educators, health care providers and social service professionals to support children with Fetal Alcohol Spectrum Disorders (FASD). Most people with FASD have no visible signs of prenatal alcohol exposure. Their problems may be wrongly blamed on poor parenting or other disorders. Often adoptive parents are unaware their child may have been prenatally exposed to alcohol but they know that their child struggles with problem solving skills, memory problems, impulsivity, poor judgement and may lack social skills. Your child may be diagnosed with Attention Deficit Hyperactivity Disorder (ADHD); yet the root cause may be prenatal alcohol exposure. 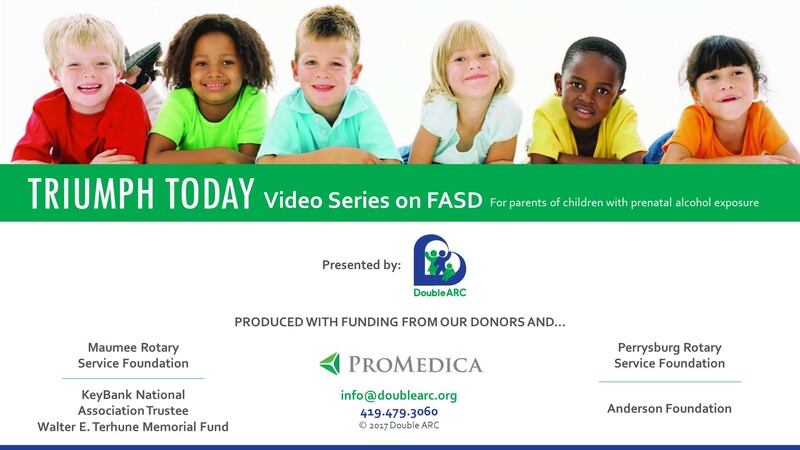 Designed for Education Professionals, Social Service Providers, Parents, Guardians, anyone involved with a child with an FASD; Double ARC offers workshops to help children with brain damage and those caring for them. Double ARC facilitates a monthly support group meeting for parents and guardians of children with an FASD. The Double ARC Center for FASD is always available to talk about your child’s issues so that we can determine whether we can help you and your child. Help with the child’s IEP (Individualized Education Plan). The IEP is meant to address each child’s unique learning issues and include specific educational goals. It is a legally binding document. The school must provide everything it promises in the IEP. We can be your advocate at IEP meetings. Sr. Suzette Fisher, SND, M.Ed., Ed.S. The Double ARC Center for FASD at A Renewed Mind can now receive Medicaid and most insurances.